Edie Eckman has written two books with TONS of options for adding borders and edgings to your crochet masterpieces! First, we have Every Which Way Crochet Borders which includes 139 patterns. This is actually her second book, but I am going to review it first because it is newer and so people may not have seen it yet. 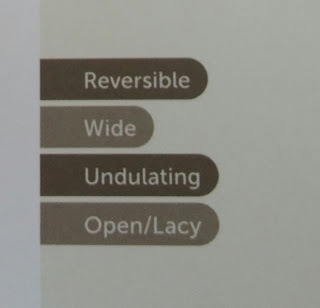 First off, it is spiral-bound which is wonderful when trying to follow the instructions while working on a piece. Here is what a sample page looks like. The beginning of the book contains 30 pages of information about how to choose a border pattern based on the blanket pattern, how to choose the colors and use them to make an attractive border, comments on yarns to use in your borders, and how to customize and/or widen edgings. There is a great section on how to attach your border to different items, whether made of yarn (crocheted or knitted), fleece, or fabric. Directions are given for handling corners, ending rounds, invisible joining and fudging stitch counts to make the border work with your item. After all of this information, it is time to showcase the 139 patterns. 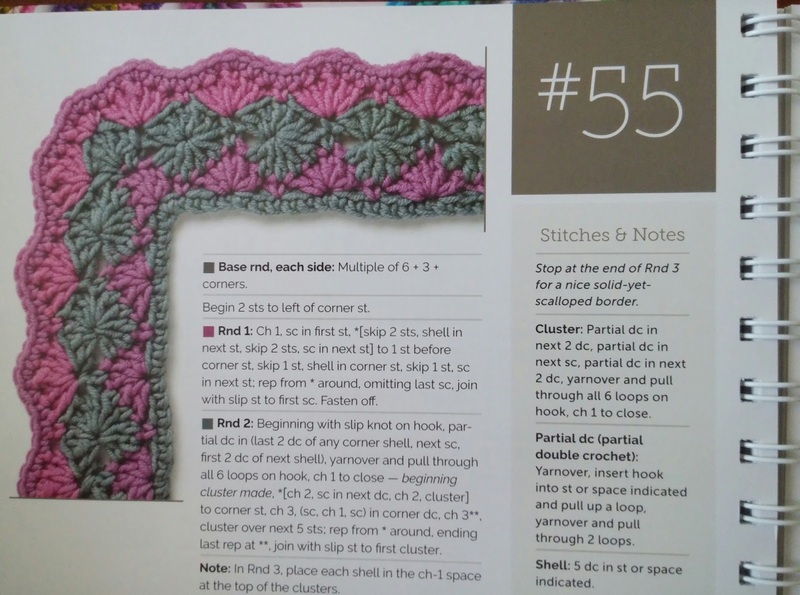 Each pattern is given written directions by round and a chart as well as information about stitches or other notes about the pattern in a sidebar. One thing that I really like is that each round is color coded to the actual crochet sample. In addition, each pattern is assigned various labels to help in choosing the correct border. Lastly, there is an Appendix which contains information on reading crochet patterns and charts. A stitch key is included for those that want to learn how to read the charted patterns. There is a 4-page border directory by picture so you can find what you are looking for quickly. Finally, there is a 5-page Glossary which explains in written terms and pictures the various stitches used in the patterns. Every Which Way Crochet Borders: 139 Patterns for Customized Edgings is an excellent book with a great variety of designs and you can even make up your own by adding more rounds or taking away rounds in a pattern so that you have the perfect border for your item. Definitely a 10/10 for this book! Ms. Eckman's first book is called Around the Corner Crochet Borders. It contains 150 creative edgings. 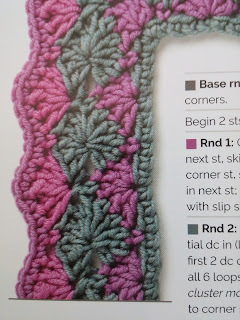 The beginning again has good information - stitch-count math, how to do a double crochet chainless start, how to maintain a flat edge, information on colorways and simple borders and more. Each pattern contains color coded round info matched to the crochet sample, written instructions and a design chart as well as notes on each pattern. The final pages contain the same stitch keys, glossary and index (no pictures, though). I give this book a 9/10 because it is not spiral-bound and doesn't contain the photo index like the other book. 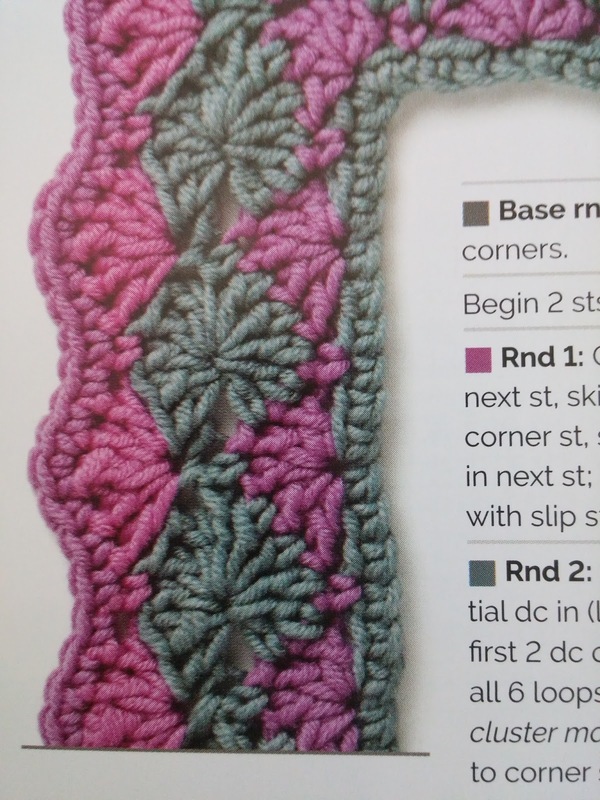 Both books include patterns where the author added beads to the border and she even gives an example in Every Which Way Crochet Borders: 139 Patterns for Customized Edgings on how a longer fringe-type border can be made into a necklace! I like the way Ms. Eckman thinks outside the box when working her designs.